If you believe the reputation given to Absinthe at the turn of the 19th and 20th centuries, it is better to stop reading this right now. The equivalent of this terrible alcoholic drink today would be Class A drugs. But that is IF you believe its past reputation. 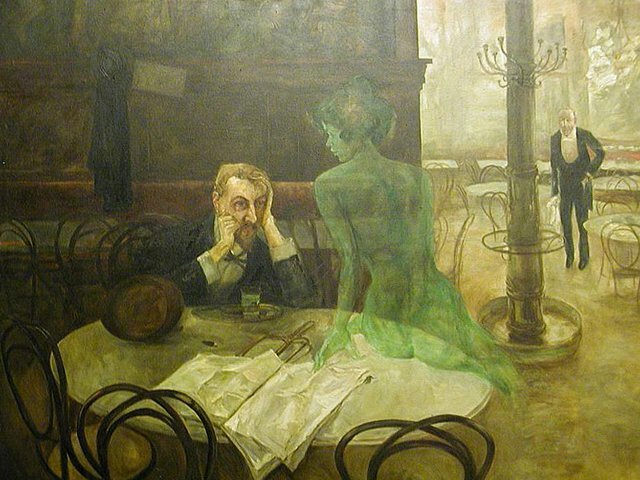 Absinthe was banned in 1915 due to its many dangerous properties, notably the causing of epilepsy, tuberculosis, fits of murderous rage and just plain insanity. 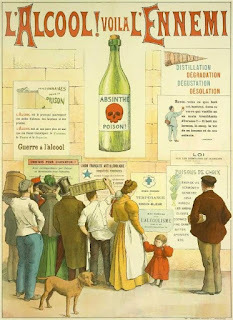 All of these were clearly documented and verified by notable doctors and scientists of the time, who with hindsight were probably absinthe drinkers themselves! 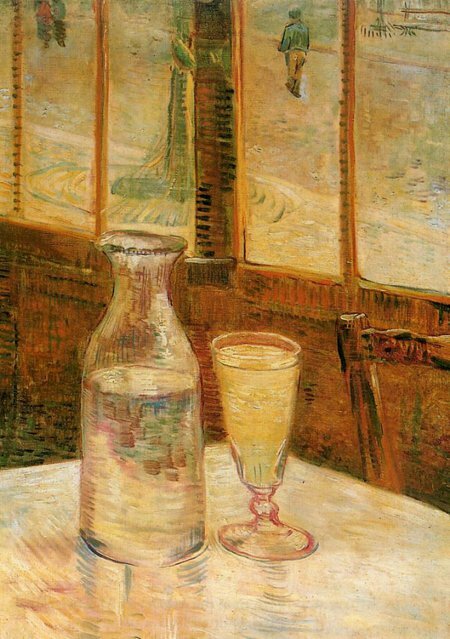 Amongst the most famous Absinthe drinkers in France we can find Toulouse-Lautrec, Beaudelaire, Rimbaud, Verlaine and of course Vincent Van Gogh who though not officially French is artistically associated, and a self-declared madman, clearly due to the Green Fairy as absinthe was known. Other famous absinthe drinkers include Ernest Hemingway and his reckless, risk taking life style and Oscar Wilde whose loose morals and dangerous wit were obviously linked to the consumption of this appalling drink. The alternative to absinthe after its ban was pastis another anise flavoured drink, which quickly gained in popularity especially in the South East of France. 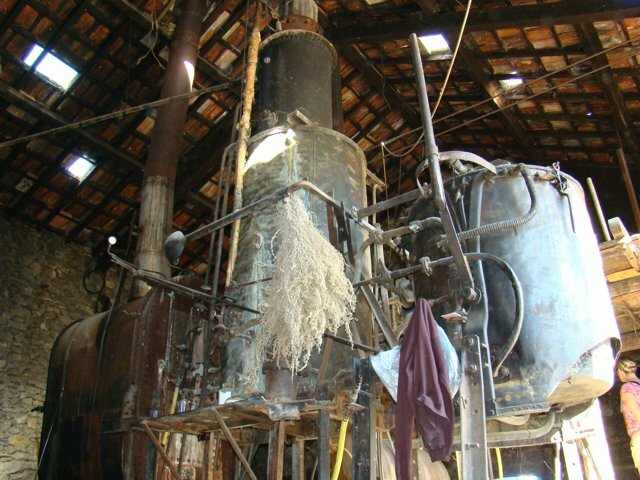 It too was banned in 1940 along with all alcohols over 17° but in 1944 was authorised again. 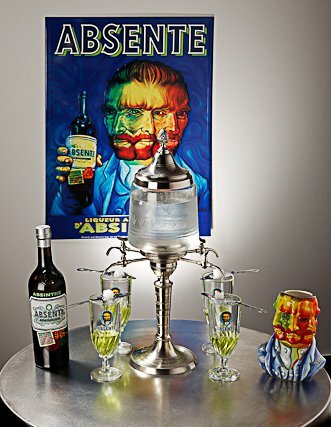 Absinthe however was to wait a long time before being rehabilitated and it was officially allowed to return to the cocktail hall of fame in April 2011, requiring nearly 100 years to clear its name. 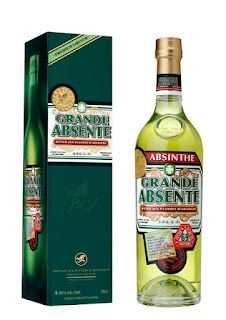 So you can now rest assured that fits of rage, insanity and tuberculosis will not be unfortunate after effects, though if you drink too much the first two have been known to happen, as it will with all alcohols it turns out. The Green Fairy working her evil spell! Absinthe can be made in several different ways; by maceration of the herbs in a neutral alcohol, by using the essences of the herbs, a bit like mixing a cocktail or by maceration followed by distillation which is the superior method favoured by most Absinthe manufacturers. 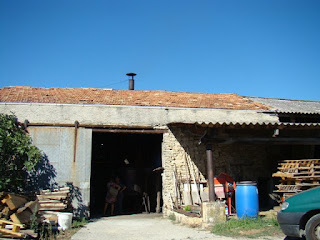 The main herbs used are Grande Wormwood (Grande Absinthe in French hence the name), Anise and Fennel. To these three essential ingredients are added petite wormwood, hyssop, angelica, lemon balm, star anise, sweet flag, dittany, coriander, juniper, and nutmeg in varying quantities according to the particular recipe. Not all are necessarily used. The resulting drink is a very strong (around 70° alcohol) but beautifully smooth, lemony, anise combination with the pleasant background bitterness of the Wormwood which gives it its unique identity. It can be drunk neat on a bed of crushed ice, or as a long drink with iced water. For the true aficionados you must take a lump of sugar which you place on a specially made Absinthe spoon, this is placed on the top of your glass already containing a dose of Absinthe, the water is then poured over until the sugar dissolves. Each method gives a different result, so I recommend trying them all! 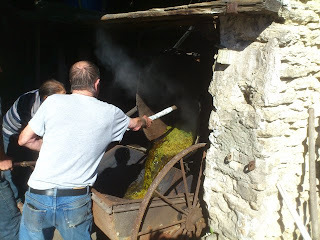 Yesterday I joined the old boys of Forcalquier for a distillation of Absinthe using the most remarkable Alembic Still you will ever see. The atmosphere is festive and patés, cheese and red wine are all presented on a table for all to share, which if like me you haven’t even had a coffee to start your day, is tough to begin with but you soon get into the swing of things. 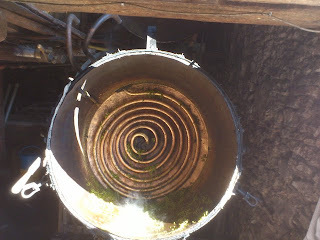 given away only by the tell tale chimney! 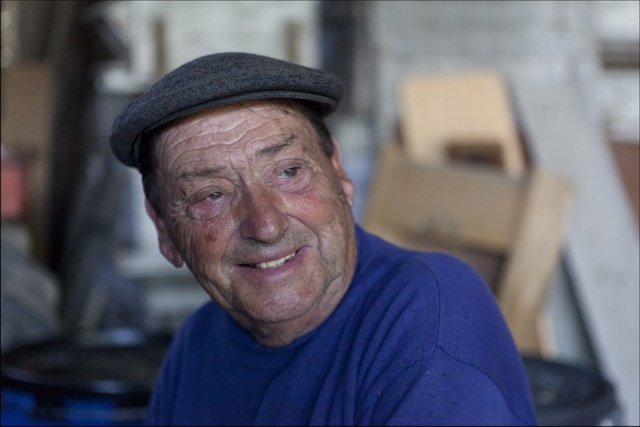 The master of ceremonies was Janot whose age is as great as his skill and his passion is readily shared with anyone that asks. His acolyte is Pâquerette and he was also aided by Yves. If anything went wrong, like the fire to heat the water dying down or no one noticing the end of the distillation the blame was automatically laid on Yves being the youngest, although it was not necessarily his fault. The accusations were loud and met with general hilarity from the others gathered around, who were used to this offloading of responsibility. Needless to say the old boys were always keeping their eyes on everything and the final product was perfect as always. the macerated mix is heated by the copper tubes full of super heated steam. 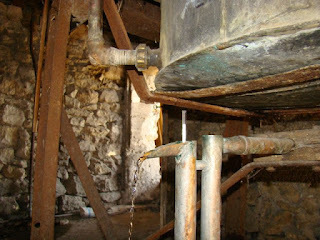 This particular distillation was for the Distilleries et Domaines de Provence who also make the famous Pastis Bardouin, and a whole range of aperitifs using peaches, walnuts, oranges… Liqueurs using Thyme and Génepi and La Douce which is a combination of Cognac and pear liqueur and is easy to drink …too easy! 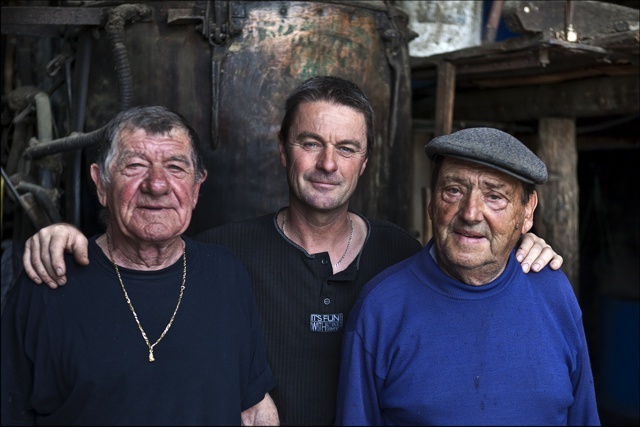 They are the proprietors of the alembic and most of their alcohols are created using the same “savoir faire” of the old boys of Forcalquier, which once you have met them and experienced a distillation gives you a renewed respect each time you sip your Absinthe or Pastis. 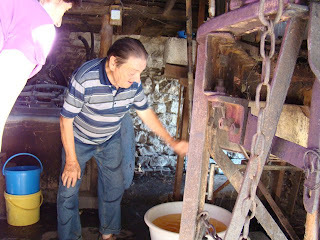 Janot and Pâquerette emptying the Alembic of the macerated herbs before starting a new batch. The final nectar flowing out. This had to be on my list of unique travel experiences, even if there are only a few distillations a year, usually starting around August and going on into October. It is a privileged insight into a time old tradition which will one day disappear in its present form to be replaced by something more modern, probably more efficient and definitely less picturesque, authentic and friendly. If you would like to discover Absinthe, then I highly recommend the Distilleries et Domaines de Provence, you can visit their website here. If you would like to discover the alembic, or join us on one of our unique travel experiences then you can contact me here.